Thou shalt demand evidence for claims to knowledge. “If it were widely understood that claims to knowledge require adequate evidence before they can be accepted, there would be no room for pseudoscience.” More. That sounds nice but it is breathtakingly naive. What is and isn’t adequate evidence is always a matter in dispute. Many in science believe strongly that there must be extraterrestrial intelligences out there, to say nothing of a multiverse, yet there is no evidence for either. And does that matter to them? There is lots of evidence for the fine-tuning of our universe for life and that doesn’t matter either — except as a jumping off point for claims about a multiverse (because if there isn’t a multiverse, we would need to conclude that our universe really is fine-tuned). And the situation is the same in science all the way down. For reference, here are the original Ten Commandments, the jumping off point for the basic idea. 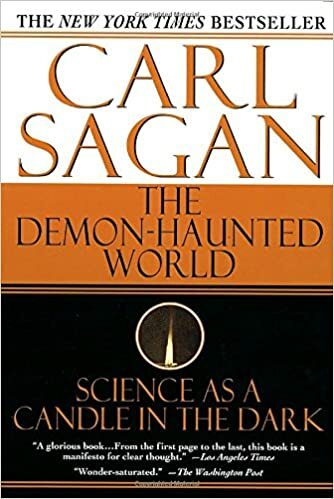 If Sagan is Allah, then his messenger just might be Chris Mooney, a science journalist whose recent book with Sheril Kirshenbaum, Unscientific America: How Science Illiteracy Threatens our Future (Basic Books, 2009), mentions the astronomer’s name no fewer than 60 times. Though Mooney might claim otherwise, Unscientific America appears based upon the premise that “science literacy” requires full assent to the “consensus” on controversial topics like evolution, embryonic stem-cell research, and global warming. It’s not even clear whether scientific literacy demands an understanding of science, provided that one endorses all the proper policy positions. By redefining scientific literacy from an understanding of science into wholesale capitulation to the “consensus,” true scientific literacy—including the right to debate and dissent—is left in the dust. More. Debate? Dissent? Who are they? See also: Question for multiverse theorists: To what can science appeal, if not evidence? To what may science appeal, if not evidence? To the same thing all falsehoods appeal; emotive narrative. When we don’t know the truth of what happened, or we know it but don’t want to admit it, we makes up stories about what happened. Our stories are laden with emotional appeals to unreason, with distractions, with dissemblings and dissimulations. I’m not saying that science is falsehood; I’m saying that scientists are just people and they do what people do. When they don’t know the answer a few of them will bluntly say so and most will make up a story. The Dark Matter boondoggle is a classic underpants gnome story. There’s no difference between saying the classic theory is wrong and saying it’s right but it’s even righter now it includes our magic fudge factor that conveniently makes the numbers work again using just gravity plus magic fudge. There are in fact several logical possibilities when you discover that your theory that gravity acting on the detectable matter in the universe cannot account for the observed behaviour of that same matter. 1. There’s undetected matter fudging up the numbers. As noted eloquently by others there are significant problems with such a theory but it is a valid logical possibility that ought to be considered before being rejected out of hand. 3. There’s something deficient in our understanding of how gravity works. I make no claims to know the answer either way, but I strongly suspect that points 2 and 3 hold more promise for finding an answer than does point 1. That’s because there is evidence that other forces exist capable of acting across such distances, and the entire history of science is evidence that our understanding is not complete nor our knowledge perfect, whereas the invention of undetectables is not historically a sign of a healthy theory. If it appeals not to evidence it is not science; it is merely story-telling. Big scientists, in Sagan’s mold, are THE worst violators of ALL eight commandments. “Pseudoscientists” like astrologers are much more humble and much less arrogant. Big scientists LOVE the LHC, which is spending billions to create a black hole that will devour the universe. How is that “cherishing the Planet”? Big scientists happily work for NSA and CIA and Google, developing new methods of espionage and sabotage and torture. How is that “showing kindness toward humans”? Sagan’s commandments are like others in that they are ideals to which people may aspire but to which they rarely live up, being fallibly human.